White House senior adviser Jared Kushner was summoned by investigators this week to testify in special counsel Robert Mueller‘s investigation into possible Russian collusion. In July 2017, 37-year-old Kushner — Trump’s son-in-law and a member of the real estate firm Kushner Companies — issued a brief statement in which he said he had no contacts or connections with Russian officials. MSNBC’s Ari Melber reported on Wednesday that Mueller’s team questioned Kushner for six hours about Russian collusion and other issues like Trump’s transition into office, possible obstruction of justice and the firing of former FBI Director James Comey. Former Democratic National Committee (DNC) chairwoman Donna Brazile told Melber she believes Kusher was “more than just a witness” to the Trump campaign team’s collusion efforts in 2016. Brazile noted how Kushner recently regained his top security clearance after several revisions. 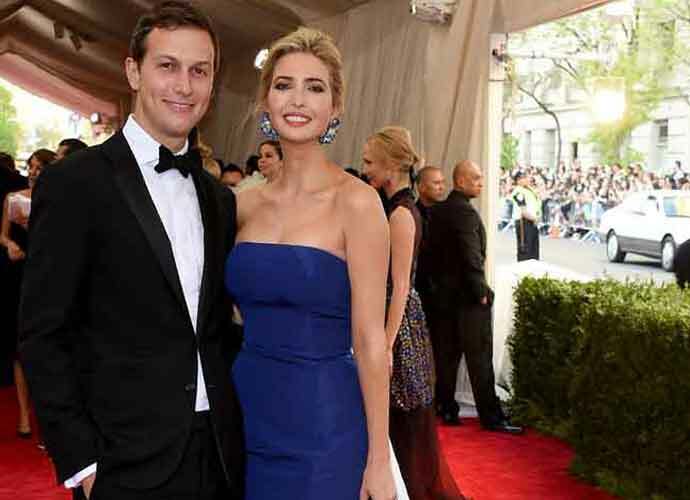 Kushner Companies’ flagship building in New York is set to receive a receive a major bailout from a Qatari government-owned firm, which raises questions about potential conflicts of interest he may have. A lawyer for Kushner told CNN that his client was not asked by Mueller about his family’s real estate business, or about his own personal finances. Several months before Trump was inaugurated, Kushner reportedly met with two top Russian officials: former Russian ambassador to the U.S. Sergey Kislyak and Sergey Gorkov, who at the time was chairman of a government-run bank. Former New York City Mayor Rudy Giuliani, one of Trump’s lawyers in the Russia probe, recently called Kushner “disposable’ in a television interview.